In the event of a home break-in or signs of tampering, you may want to rekey your residential locks for both the front and back door. 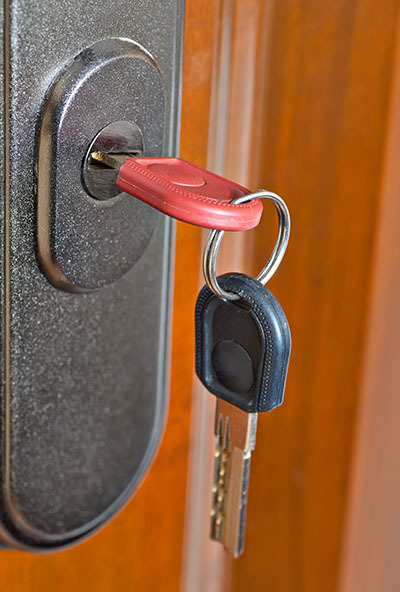 You can either do this on your own or have locksmith company in Rowland Heights come out and take care of it for you. If you are considering doing the rekey yourself, here are a few simple instructions to assist you. You will first need to go out and purchase yourself a rekey kit. You can find them in many hardware center and also online. These kits usually come in multiple brands and are usually able to work on multiple door locks; however, it is best to use the same brand. Rekeying kits normally come with pins and other tools such as cylinder and plug follower parts; a ring removal tool is also included. If the project requires more pins than the kit provides, you can order additional ones. Take off the exterior knob. The door knob is typically held together by a clip which can be undone by placing a wire inside of a small hole. Some kits come with a wire tool to do this; if not, use a paperclip. Next, remove the cylinder using a cylinder follower; push it through the assembly, and then take off the ring covering and remove the plug. Insert the key in the cylinder and then turn it to detach the top and bottom lock pins. Then use a little pressure to push the plug follower out of the cylinder. Hold the upper pin and springs in position as you remove cylinder plug. Remove the bullet shaped, bottom pins. Now, place the newly purchased pins in the mechanism to push away the springs. Use a set of needle ended pliers to grip and insert the pins. Make sure they are in alignment with the lock key as you insert it in the lock. Replace the ring and cylinder plug, and then put the cylinder inside of the door knob and attached it back to the door. 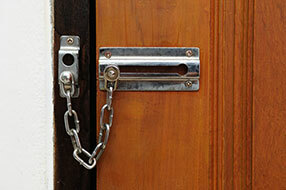 Test the rekeyed lock to ensure that it smoothly locks and also unlocks properly.